Developed by those clever palaeontologists at the Natural History Museum – London, a scale model of a Baryonyx dinosaur. A super detailed replica of a Baryonyx dinosaur, great for creative, imaginative play. Developed under the guidance of the London Natural History museum’s Dinosaur researcher Dr Paul Barrett, a finely detailed dinosaur model of Baryonyx. This replica of a Baryonyx dinosaur reflects the very latest scientific knowledge. 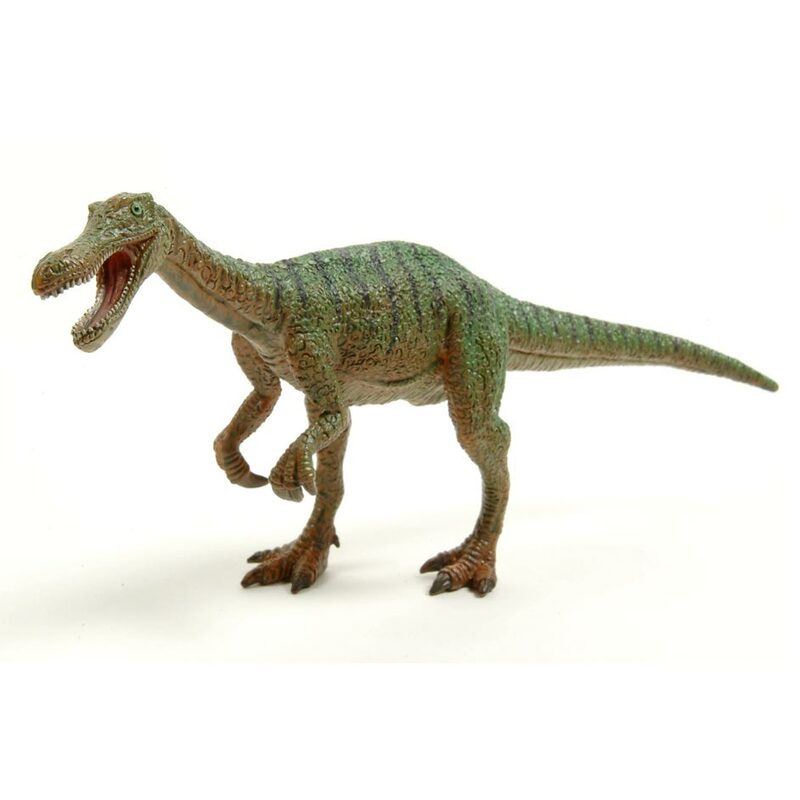 A model of a fish-eating dinosaur, a Baryonyx dinosaur model, great for creative play. Sales of this model help support the Natural History museum. Small compared to other dinosaur toys but showing the thumb claw very well this model is extremely accurate to the real dinosaur. Very nice model and modestly priced which was much enjoyed by my son.